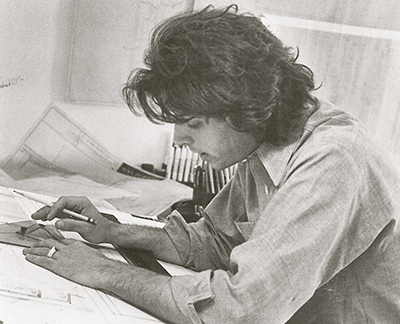 In 1969 a young architect just out of Princeton found a job as a carpenter for a new experimental night club being built in New York’s nascent SoHo District. John Storyk quickly made some creative architectural suggestions, which the owners readily adopted. ‘Cerebrum’ became a sensation, and during its short lived yet quintessential live, one night Jimi Hendrix dropped in. Impressed with the vibe, he engaged Storyk to develop a club of his own. The club idea with the aid of legendary engineer Eddie Kramer, quickly morphed into an artist owned world class recording studio and in August 1970, Electric Lady Studios opened in Greenwich Village, and continues to turn out hit records to this day in its original location.